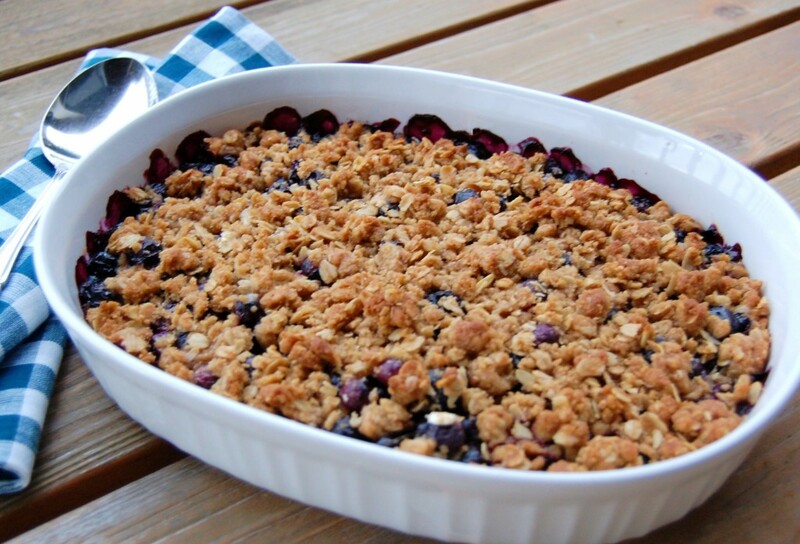 Our crisp is loaded with fresh blueberries and topped with an irresistable crumble. Serve warm with a big ol' scoop of vanilla ice cream! FILLING: In large bowl, stir granulated sugar and cornstarch until blended. Add blueberries and lemon juice; toss to coat. Pour blueberry mixture into shallow 2 1/2-quart glass or ceramic baking dish; spread evenly. TOPPING: In same bowl, combine oats, brown sugar, flour, and cinnamon. With fingertips, work in butter until coarse crumbs form. Press crumb mixture together and sprinkle on top of blueberry mixture. Bake crisp 35 to 40 minutes or until top is browned and fruit is bubbling at edge. Cool on wire rack 1 hour to serve warm, or cool completely to serve later.